These are a delicious, simple, nutrient dense treat. For those of you in the habit of skipping meals, or flying out the door without breakfast, or returning home so late after a long day and no longer having the energy to prepare and then consume a meal...these are for you! They make a beautiful snack to tide one over, great for morning or afternoon tea, and providing it is a cool-cold day are a perfect addition to all lunchboxes. 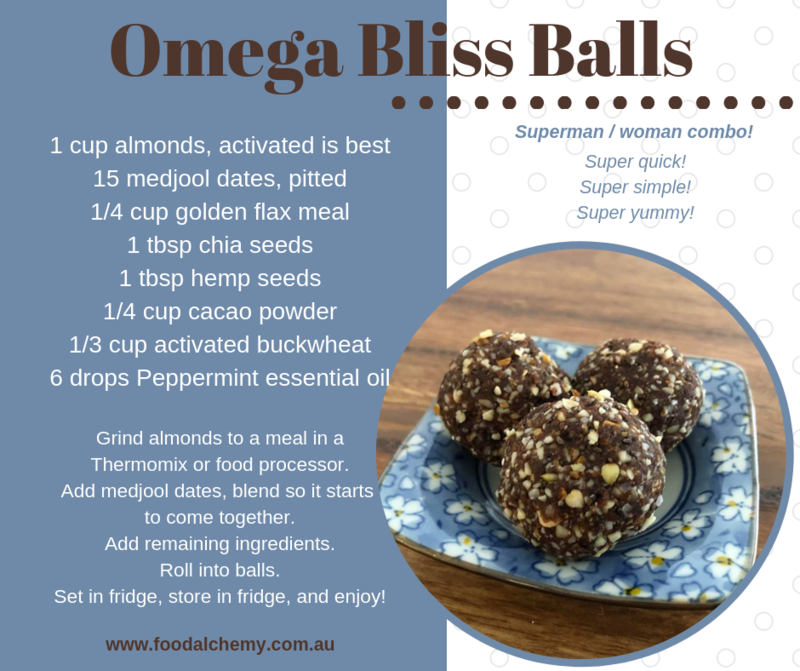 Like the raw fudge, these balls are wonderful to help build, maintain or restore the immunity. 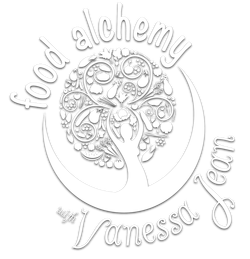 All you need is a food processor and the following ingredients, which you can play with and adapt as you go...using organic seasonal produce means you use only what is available at the time. 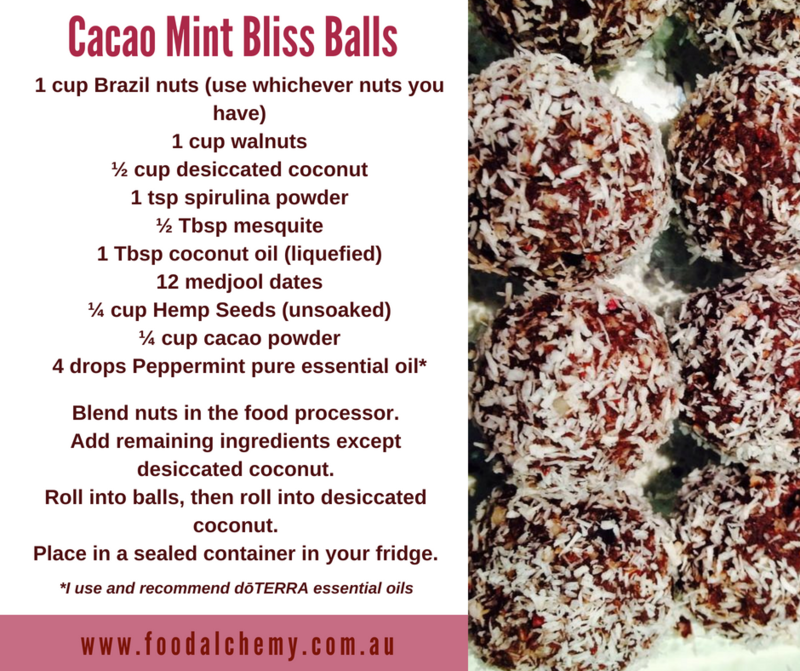 Here are some ideas for your bliss balls...it is your bliss not mine... so divine away to create your very own Bliss! Soaked almonds/cashews/walnuts or a combination of all...use any nuts you love! 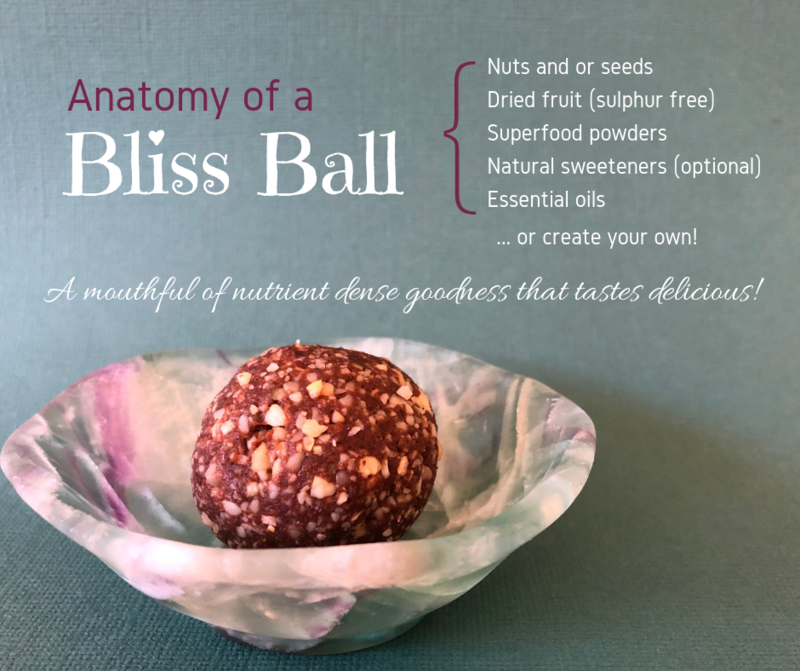 Here is an idea for a bliss ball that is delicious, keeps well in the fridge and sustains and nourishes you. It makes roughly 45 small bliss balls. 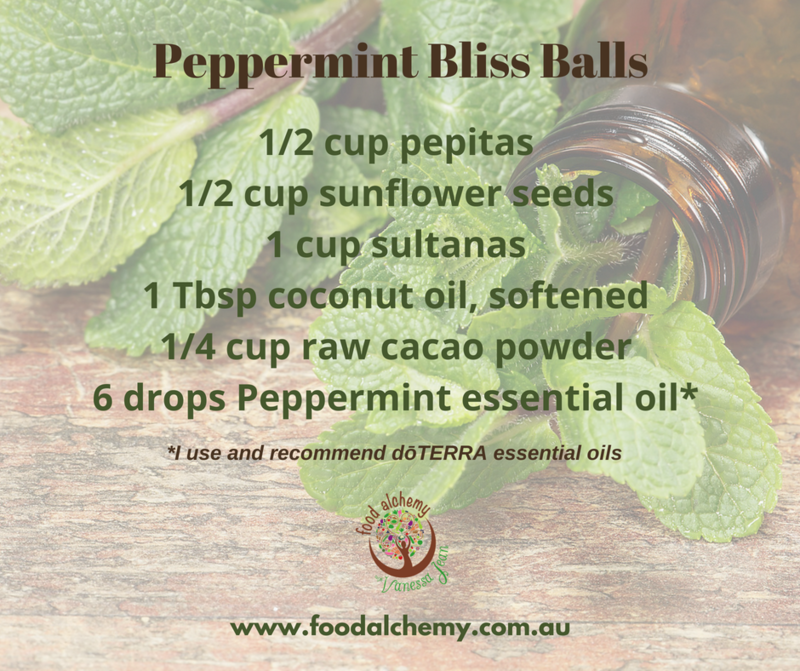 Hint: to make these peppermint or spearmint balls add 6-8 drops for this large quantity. Remember to only use organic, food grade, pure essential oils. 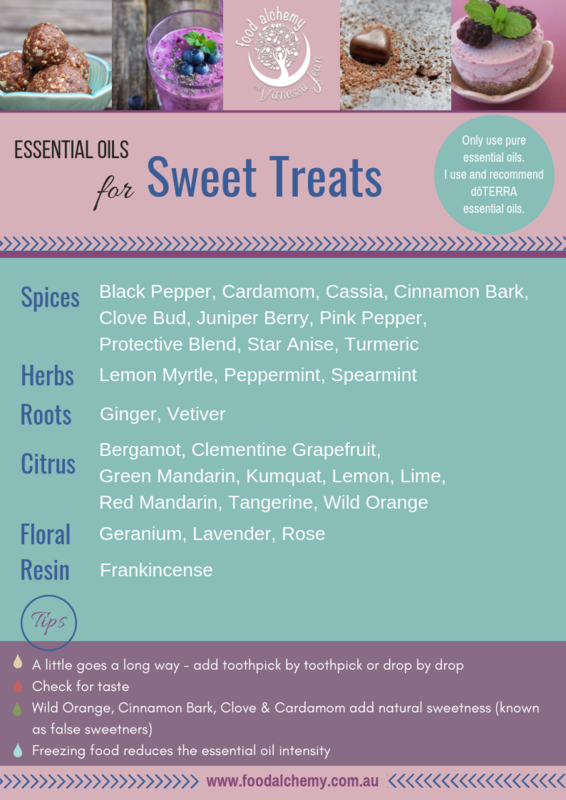 DO NOT USE FRAGRANT OILS - THESE ARE POISON. We often do part of the mix chocolate, and the other part mint. Combine nuts and seeds in food processor, set aside in a bowl. Grate or grind the cacao butter to a very fine, powder-like consistency. Combine the dried fruits, then add coconut oil and your chosen sweetener if using. 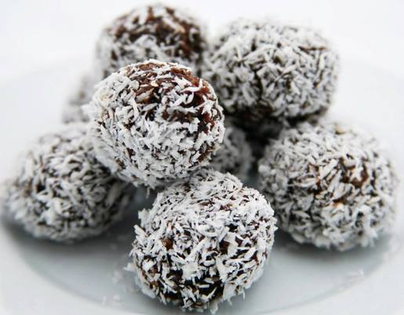 Roll into small balls then roll into coconut, place into a container and place into fridge to set (1-2 hours). Keep refrigerated, or they will melt into a gooey but yummy fudge! You can use cacao nibs in these also...there are no limitations! A lovely addition to give them the minty flavour you have come to love on the retreats is to add a couple of drops of a pure, organic peppermint oil, spearmint oil or you could use orange for a Jaffa type result. It is extremely important you use food grade oil, and I recommend doTERRA; you only need a drop or two. 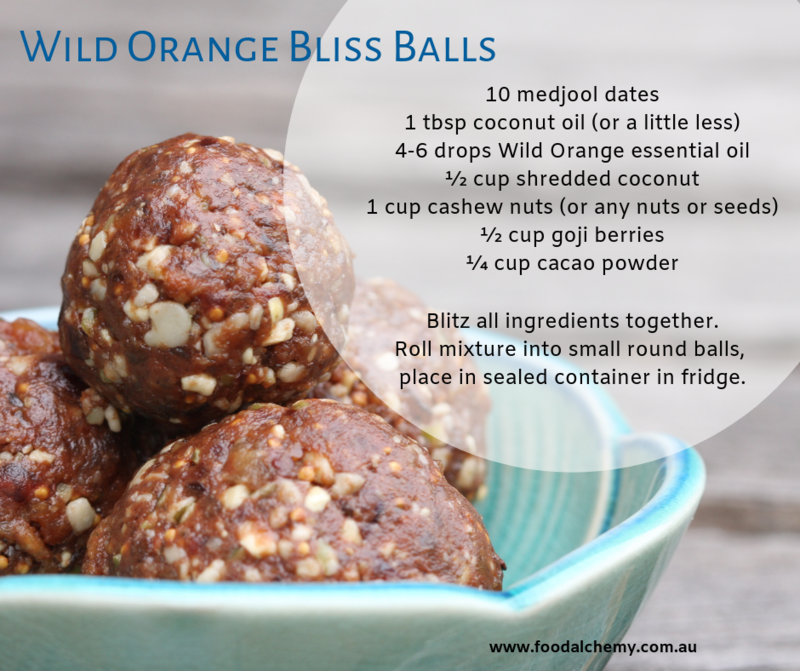 Wild Orange Bliss Balls essential oil reference: Wild Orange. 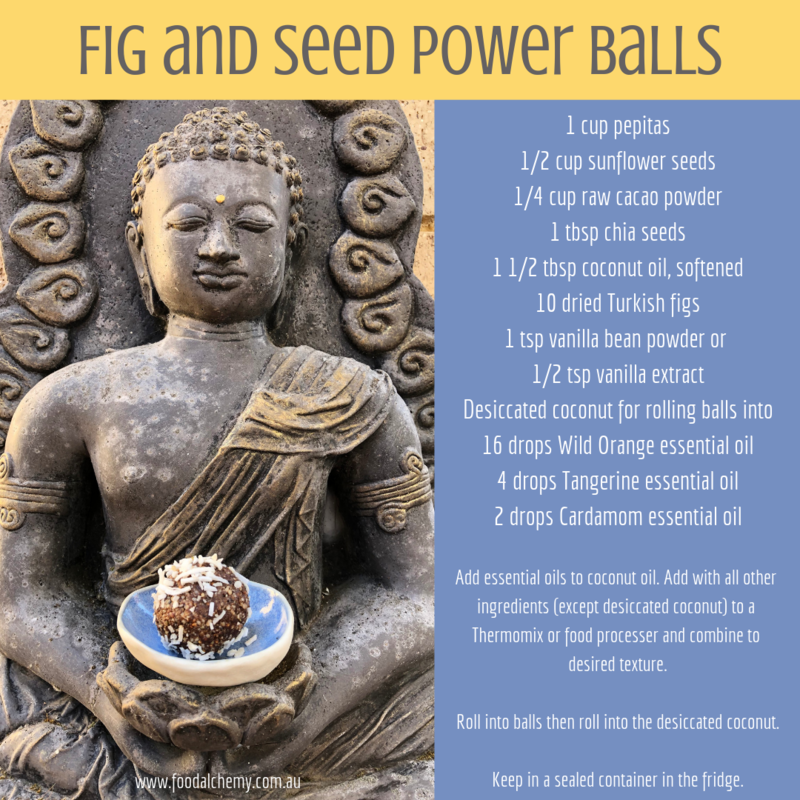 Fig and Seed Power Balls essential oil reference: Wild Orange, Tangerine, Cardamom. 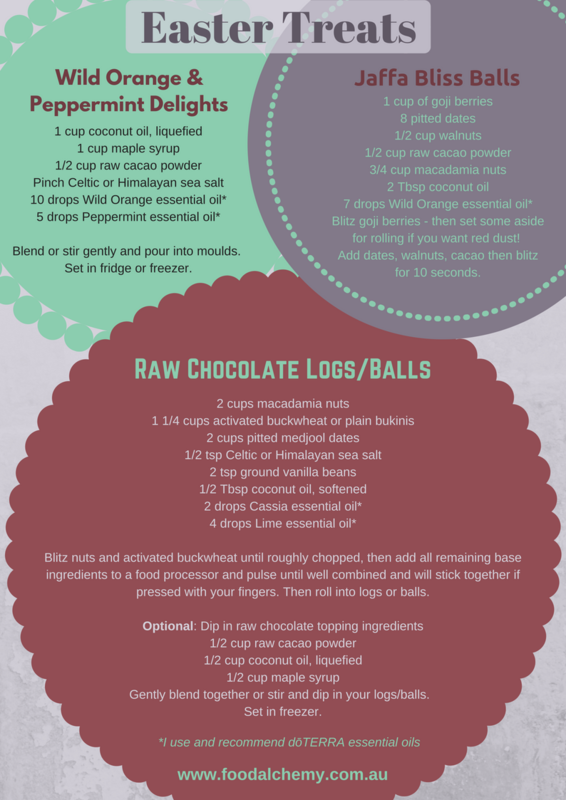 Omega Bliss Balls essential oil reference: Peppermint. 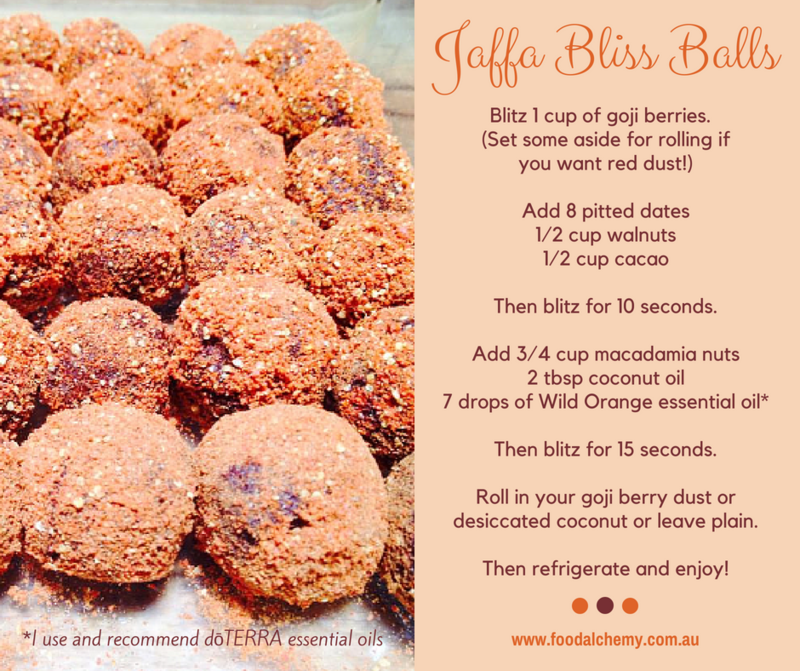 Jaffa Bliss Balls essential oil reference: Wild Orange. Agave/coconut nectar/ or raw maple syrup can be used in place of honey, add to your taste. 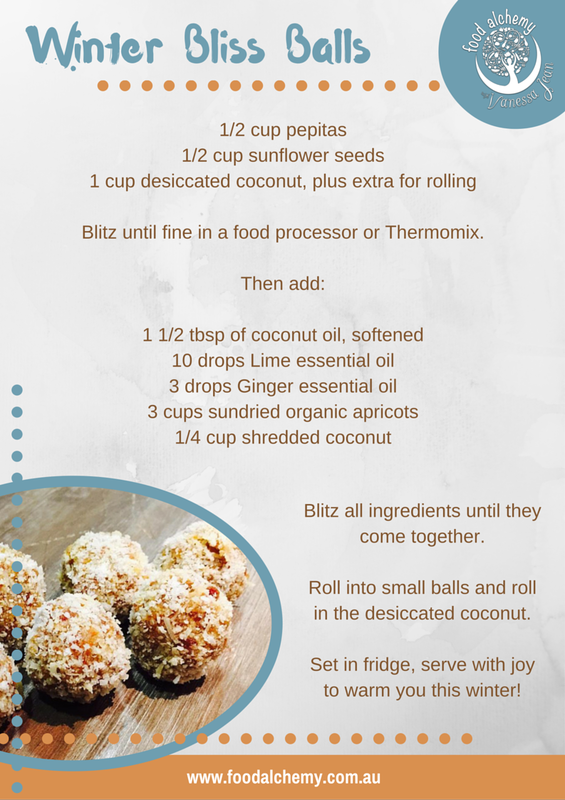 Blend: it all into blender, roll into balls, then roll into extra coconut or leave as they are. Enjoy! 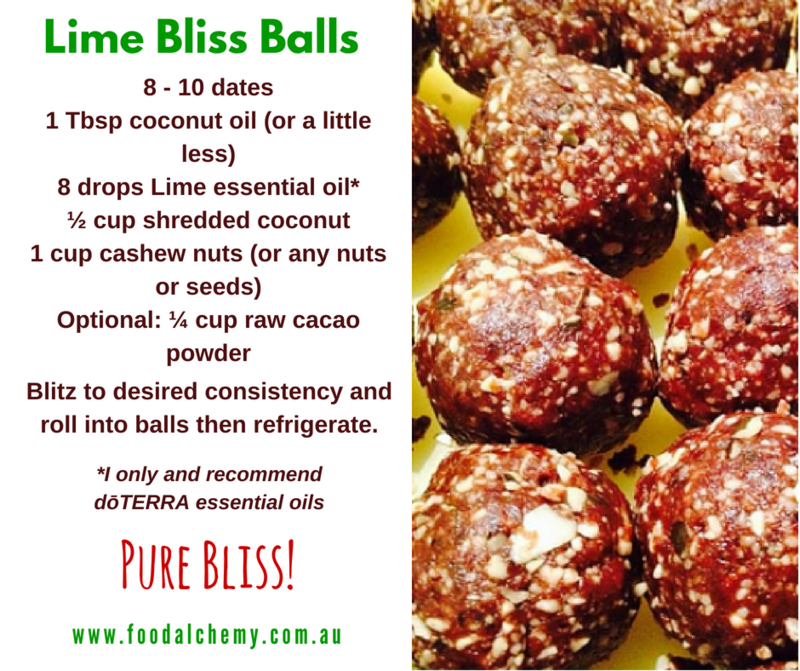 Winter Bliss Balls essential oil reference: Lime and Ginger. 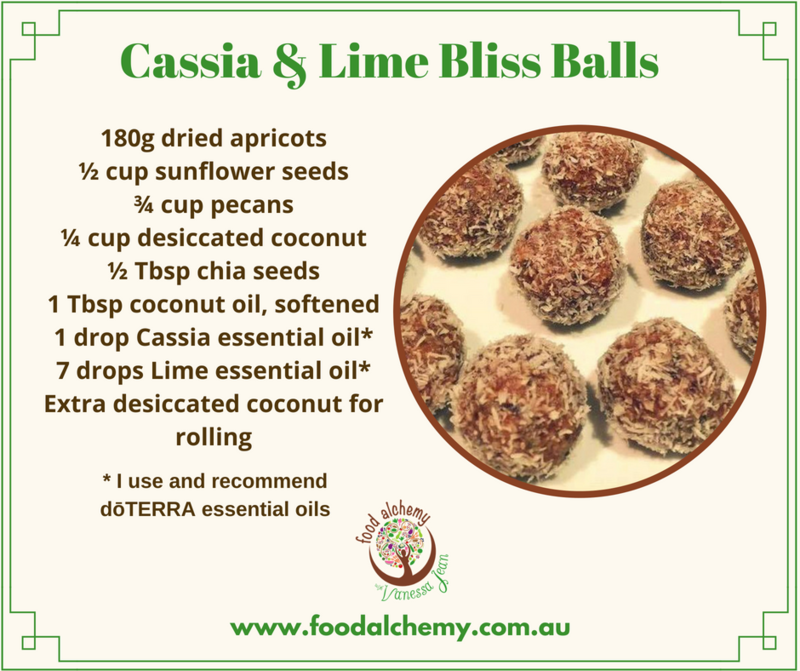 Cassia & Lime Bliss Balls essential oil reference: Cassia and Lime. 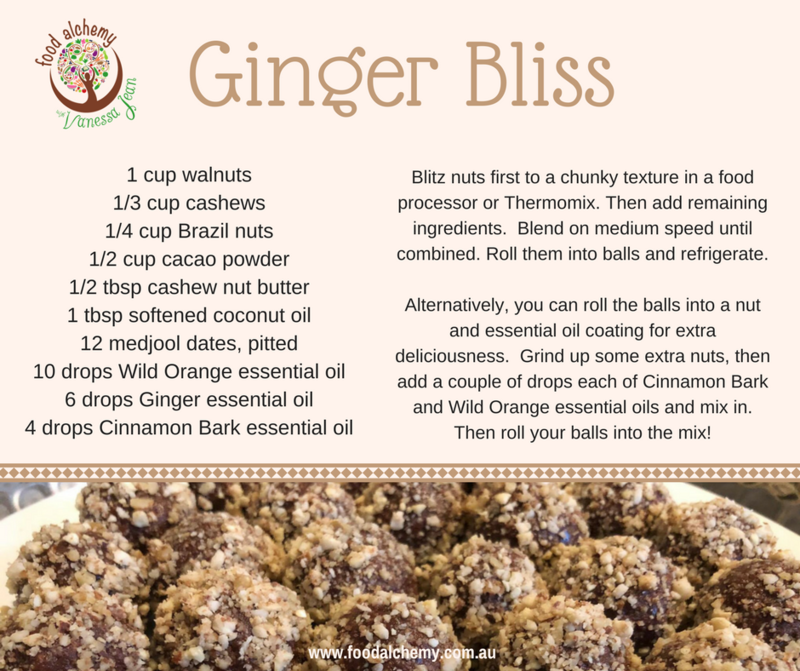 Ginger Bliss essential oil reference: Wild Orange, Ginger, Cinnamon Bark. Peppermint Bliss Balls essential oil reference: Peppermint. 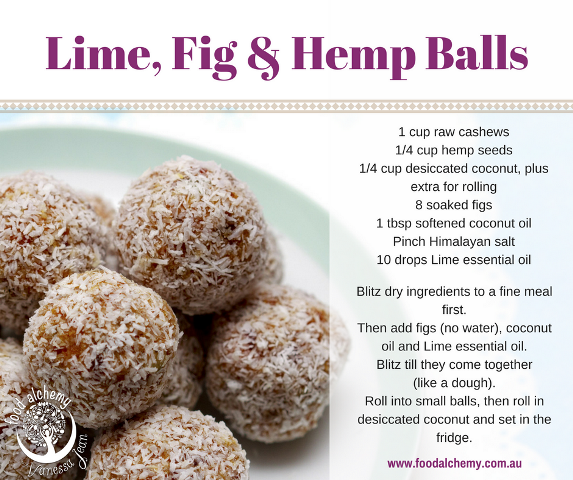 Lime, Fig & Hemp Balls essential oil reference: Lime. 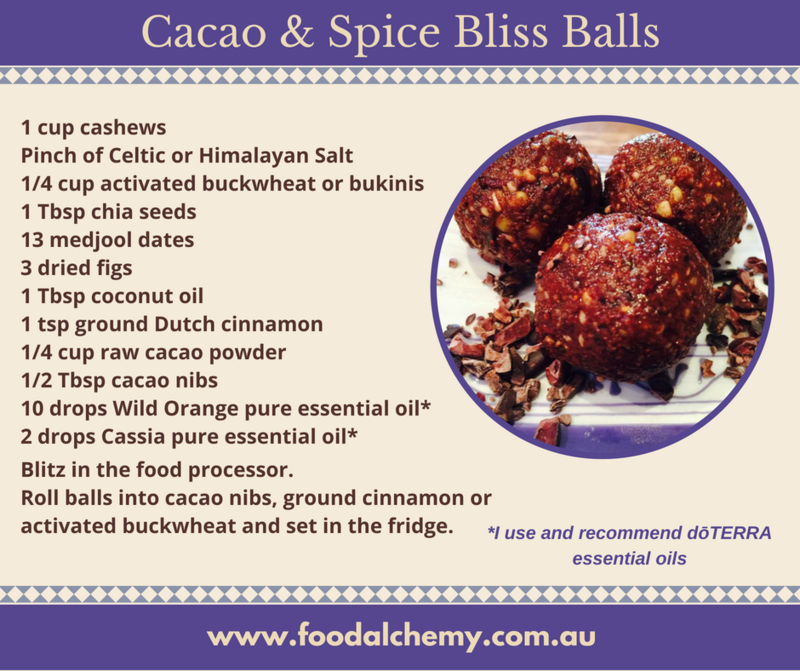 Cacao & Spice Bliss Balls essential oil reference: Wild Orange and Cassia. 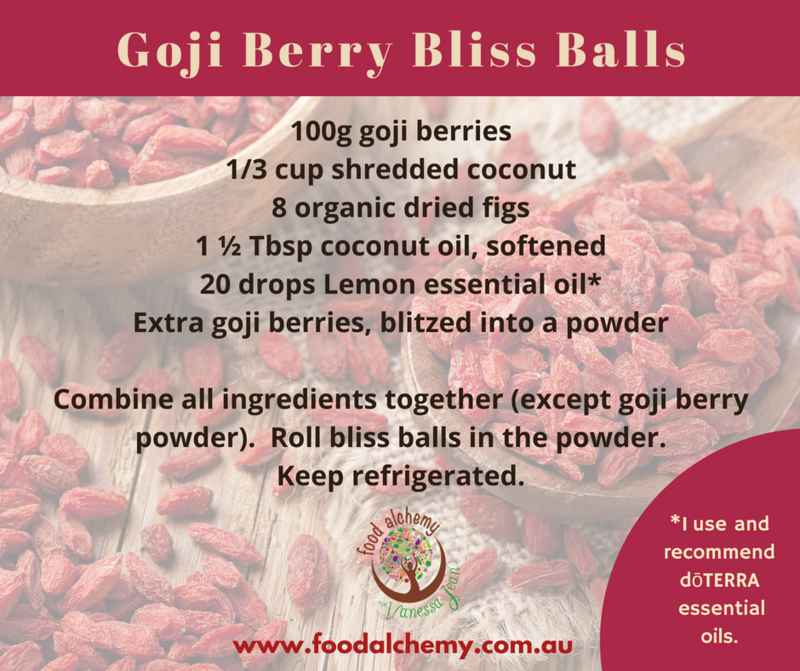 Goji Berry Bliss Balls essential oil reference: Lemon. Lime Bliss Balls essential oil reference: Lime. 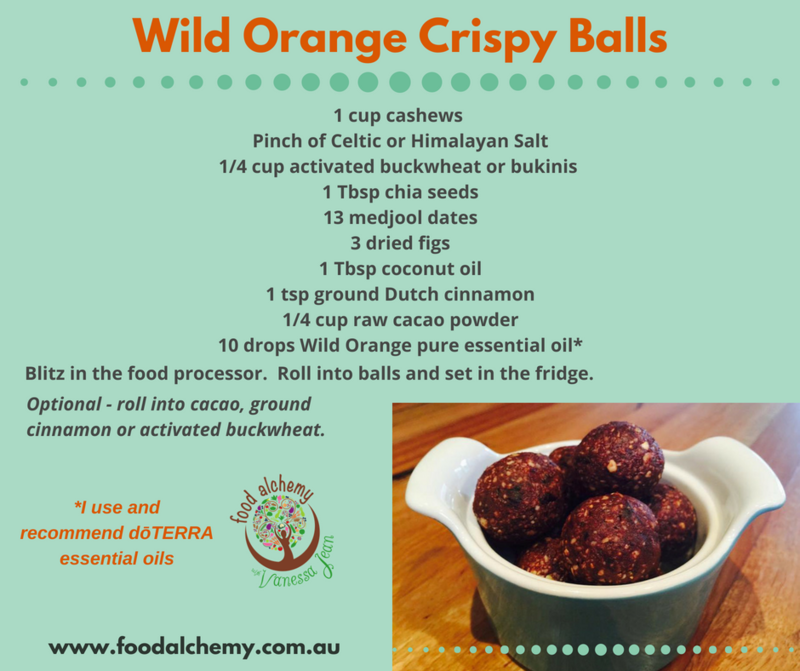 Wild Orange Crispy Balls essential oil reference: Wild Orange. 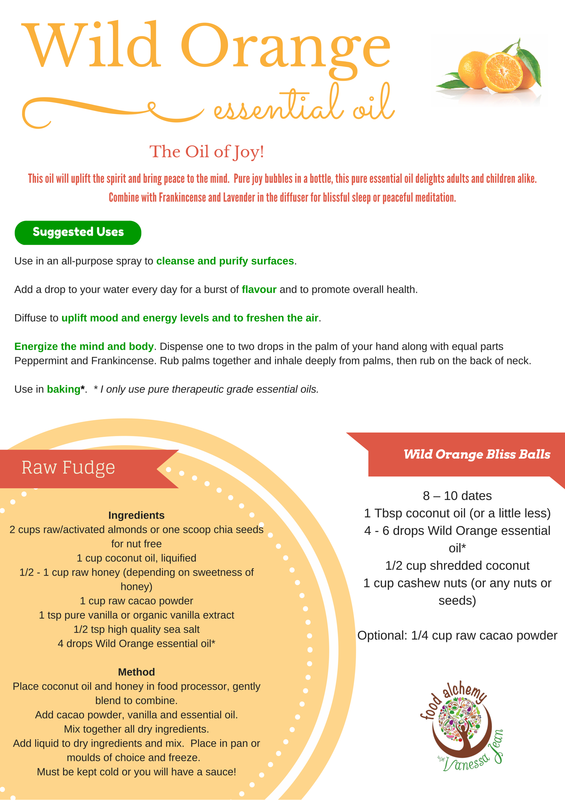 Wild Orange Fact Sheet essential oil reference: Wild Orange. Easter Treats essential oil references: Wild Orange, Peppermint, Cassia, Lime.